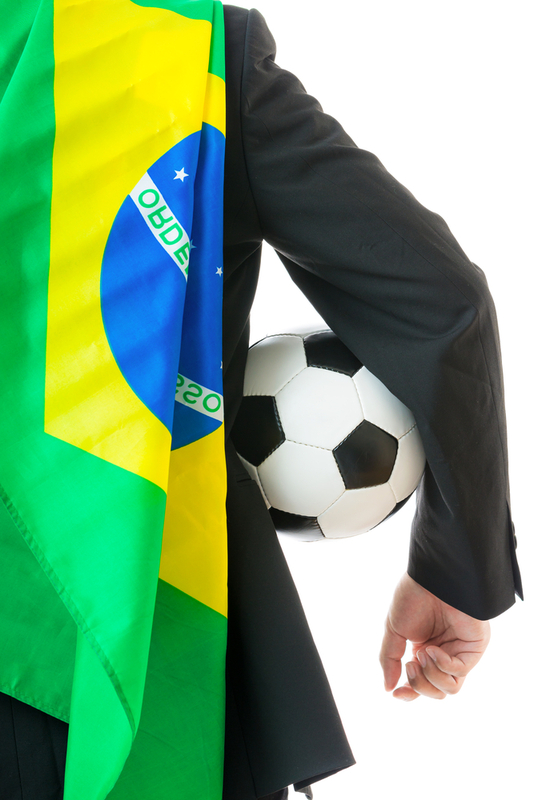 As the world comes together in their love for the game of football (soccer), known by many as the ‘beautiful game’, the FIFA World Cup 2014 in Brazil may have you wondering what MBA careers exist in the football industry. 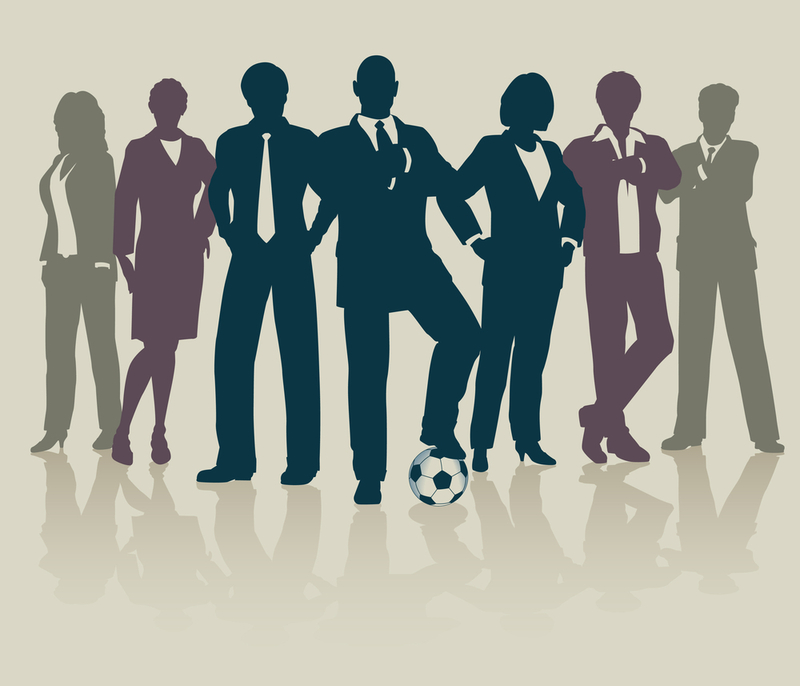 The idea of MBA careers existing within the football industry isn’t as farfetched as it may seem, even for those seeking management roles without an existing history in the sport (ruling out, of course, actually managing teams). After all, sports management is a growing field of study at MBA-level and is there any sport as globally popular as football? Regular readers on TopMBA.com may even be aware that one example of the more unusual MBA specializations out there is the football MBA on offer in the UK at the University of Liverpool Management School. Football is the undisputed king in terms of global events revenue, bringing in roughly US$28 billion each year and almost surpassing the US$32 billion collected annually by all US sports, Formula 1 racing, tennis and golf combined, according to a recent estimation by A.T. Kearney. World Cup 2014 is the latest of the global football industry showcase events that, like the Olympics, take place only every four years. Dr. Geoff Pearson, director of studies for the Football Industries MBA at the University of Liverpool Management School, emphasizes how football’s global appeal has been enhanced by the growth of technology. “The increased globalization of football means that there’s football going on 24 hours a day, seven days a week somewhere in the world and you’ll be able to access this on an internet stream wherever you are,” he says. It’s certainly a market rich in potential, but what kind of MBA careers can one expect to find in the football industry? Management roles in football available to MBA graduates are most often found on the commercial side of the game but are “wide and varied” according to Dr. Pearson. The three main career paths taken by his students at the University of Liverpool are football clubs, governing bodies and companies that provide services to the football industry. “The sheer size of the top organizations such as FIFA [the supranational body responsible for World Cup 2014 among other things],” says Dr. Pearson, “[means that] quite often students will be project-managing particular short or medium-term projects.” Together with working for a football club, these are seen as the more glamorous management roles in football and are often the most competitive. Due to the far-reaching nature of the football industry, says Dr. Pearson, opportunities to work within the sport don’t stop there. “There are suppliers, sponsors, providers of data analysis systems, consumer relations systems, ticketing systems,” he says before adding that football’s crossover into other areas is the reason behind the University of Liverpool program being called the MBA football industries rather than industry. Not all of his graduates end up working in football, with some pursuing careers elsewhere in sports management, but Dr. Pearson estimates that half of those that do will land a glamor role with a club or governing body; if pushed, he names the marketing or commercial department of a club or governing body as a key destination. However, he cautions that the remuneration may be better elsewhere. “Typically, clubs underpay and if you want big money in football then you’re better off going to work for one of the big agencies,” he says pointing out that the ‘big three’ agency areas are sponsorship, the media and player rights. So, those are the types of MBA careers one might be able to look forward to within the world of football, but what value is a specialized MBA in sports management, or specifically in football as at the University of Liverpool, in helping get you there? Well, networking is one thing. With competition understandably sky-high for management roles with some of most renowned football clubs and the biggest governing bodies, aspirants need to make the right contacts – and a specialized MBA will place considerably more emphasis in helping students make valuable connections, on the course itself or by setting up internship placements. “We put a lot of effort into producing the skills that are necessary for football executives but also the contacts – networking is a huge aspect of the course,” says Dr. Pearson. Placement opportunities are an important part of the program at the University of Liverpool, taken advantage of by roughly two-thirds of students each year. This year, Dr. Pearson mentions students going to Celtic, Manchester United and England’s domestic governing body, the FA, as examples from the UK alone. Undertaking a placement comes in the final third of the University of Liverpool MBA (the alternative being an independent thesis.) The other two segments are equally split between the management fundamentals that make the program an MBA and courses focused on the football industry – including football and finance and the game’s relationship to marketing and sponsorship. The focused elements are there to reinforce the distinctive challenges presented by the football industry. One particular challenge is how fast-moving the game, and its business side, can be – particular when it comes to dealing with a club’s finances. “There’s no point planning your finances for two years down the line because they’re going to be drawn by what the team’s doing on the pitch,” Dr. Pearson says, referencing the huge number of variables that affect team performance alone. Away from club finances, there is also the intense glare of the media to contend with – how many articles, adverts and images from the FIFA World Cup 2014 will you see before its culmination mid-July? Dr. Pearson reasons that with so many different stakeholders involved – “all with their own views and objectives” – planning will never be easy. Anybody working in a fast-evolving industry would testify to the need to remain immersed in the latest trends and their implications, and the football industry is no different. Indeed, Dr. Pearson argues that this should inform your choice of program. “There are a lot of sports management courses out there that will bring in practitioners to talk about best practice in industry who aren’t there at the forefront of the type of developments that are led by academic research,” he says, outlining how faculty research at the University of Liverpool cover the full range of trends in the football industry. Some trends have technology at their core, such as the growth of sports or data analytics, something that has served to further drive the betting industry, as well as cementing their importance to clubs and governing bodies. “The overlap between football and technology is going to grow rather than reduce,” notes Dr. Pearson. Other trends tie into commercial development, such as the moves by nouveau riche UK club Manchester City in establishing or buying franchise clubs overseas in the US and Australia. Others still are more related to the governance of the game, where football regulations could be an intriguing challenge to those embarking on MBA careers in the sport. Perhaps the biggest challenge to the game concerns football regulations on matters such as transfer systems and finances. 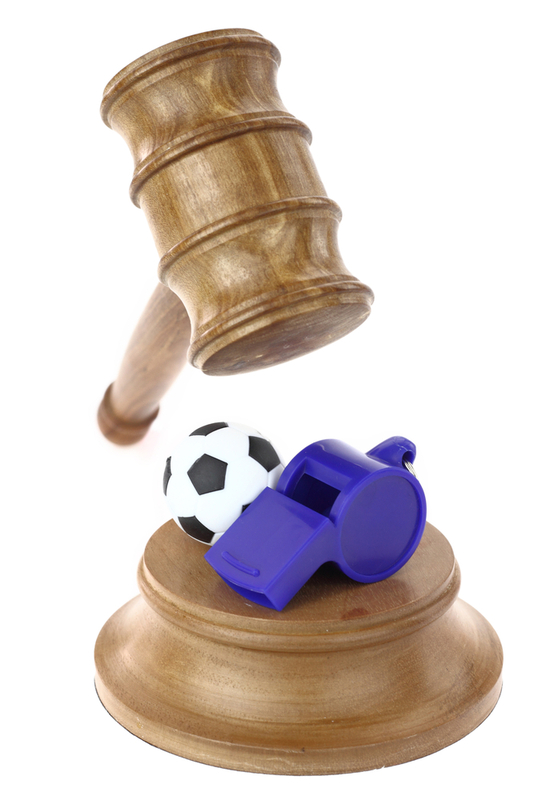 Here, the sport’s relationship with law is very much in evidence, with Dr. Pearson pointing out that governing bodies don’t have the legal right to dictate football regulations, meaning that key governing bodies, such as FIFA or UEFA (who operate Europe’s annual Champions League tournament) could lose their hold on the world’s biggest competitions. Right now, Dr. Pearson is looking into the relationship of football to European law, having just finished a project with the European Commission that considers the legality of one of UEFA’s newer football regulations that not every club is in love with – the homegrown player rule. The main bone of contention between Europe’s leading clubs and UEFA is that their interests are so vastly different, according to Dr. Pearson, with big clubs getting bigger at the expense of smaller and less wealthy teams, while UEFA’s remit, theoretically, is to ensure competitiveness at all levels and in all areas of Europe. For those in management roles on either side of the equation, the challenge of working with football regulations and keeping all stakeholders happy certainly seems a worthy challenge for those possessed of MBA skills. If you’re feeling inspired to look further into MBA careers in the football industry, Dr. Pearson thinks it’s only fair to warn people that it can be a double-edged sword, particularly if your executive duties stop you from being able to watch the club you support, as was the case for one graduate he recalls. Plus, understanding the behind-the-scenes mechanisms that fuel the football industry can sometimes take away a little of the romanticism many enjoy with the sport. Which are the best business schools in the world according to employers? hi i am noble from India completed my mba in sports management and seeking a job related to sports.